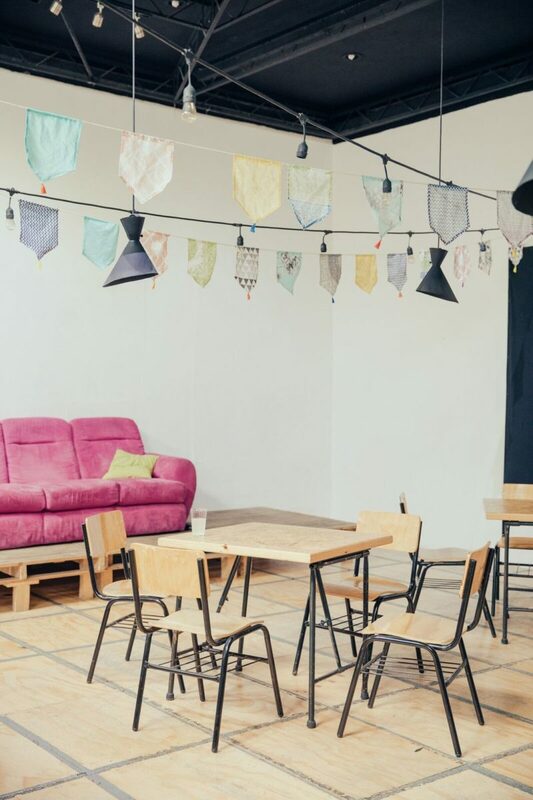 A restaurant and creative space all in one. 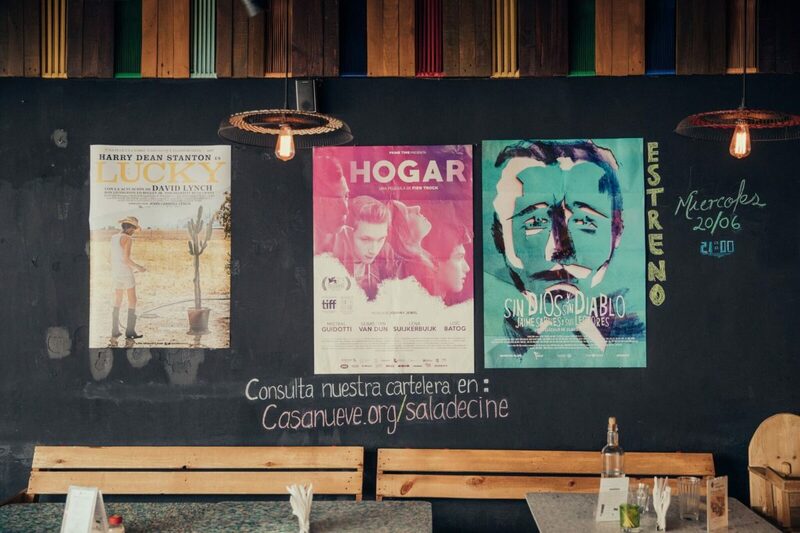 In the Central Mexican city of Puebla, a colorful restaurant offers a safe-haven for artists and creatives—along with some of the best food in the area. Unlike nearby Mexico City, Puebla is not hip. It’s not full of recently-opened 5-star restaurants, or salsa clubs that stay open until morning. 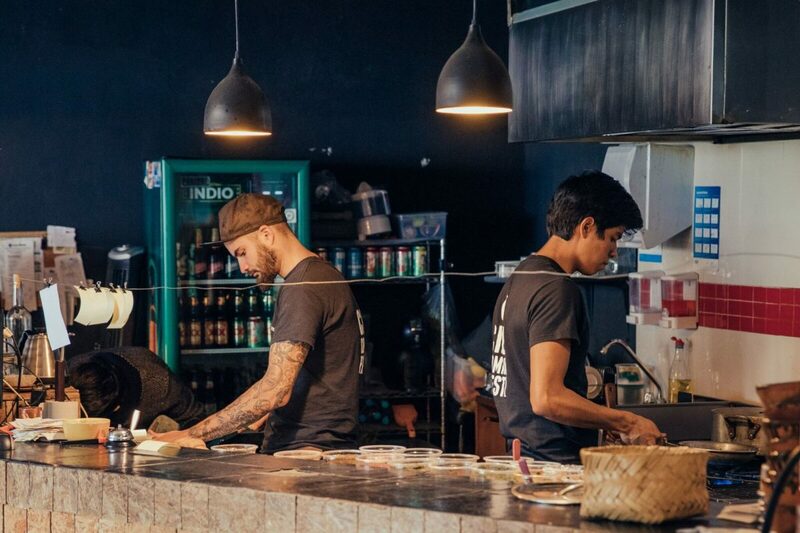 But it is rich with historic, colorful building facades; centuries-old churches; and various types of mole, which you can sample at a handful of old-school restaurants with white tablecloths (go to El Mural de los Poblanos, and order the trilogía de cemitas). 20 minutes outside of the city center is the neighborhood of Cholula—Puebla’s closest answer to Williamsburg, or Barranco, or Monti, and the oldest city in Latin America. The Sanctuary of Nuestra Señora de los Remedios, a bright yellow building with tiled domes, is visible from anywhere in Cholula, situated on top of the city’s Great Pyramid, which visitors can walk through. But there’s more than just great history in this neighborhood. Home to the Universidad de las Américas Puebla (and thus, young people who want to do young-people things), Cholula also features a small “container district,” where cargo ship containers have been converted into bars and art galleries, as well as Casa Nueve, where I stopped for lunch during my visit there. An Instagram-worthy dish isn’t necessarily the measure of a good restaurant, but the colorful offerings here did feel like a departure from other restaurants I’d sampled while in Puebla (recall the white tablecloths). 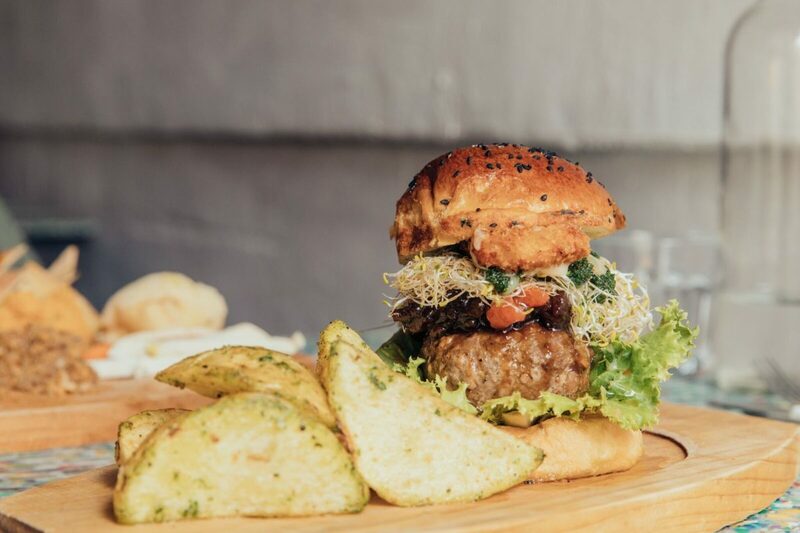 A stack of fluffy pancakes, an egregiously tall burger loaded with bacon and hashbrowns, a breakfast bowl with plantain chips and pickled onions—and it all tasted as good as it looked. The cinema space features films not shown in commercial theaters. Peláez is doing her part to help local creators, selling artist’s work that covers the walls; hosting workshops, conferences, and lectures for artists on topics such as financial management and business advice; and showing movies that “don’t show in the commercial cinemas, and… are made by directors with an artist background. Plus we always open the cinema for local producers or students, documentarists that are working on their own little projects,” says Peláez. Plus, it’s a really good burger. A place for creatives to meet. 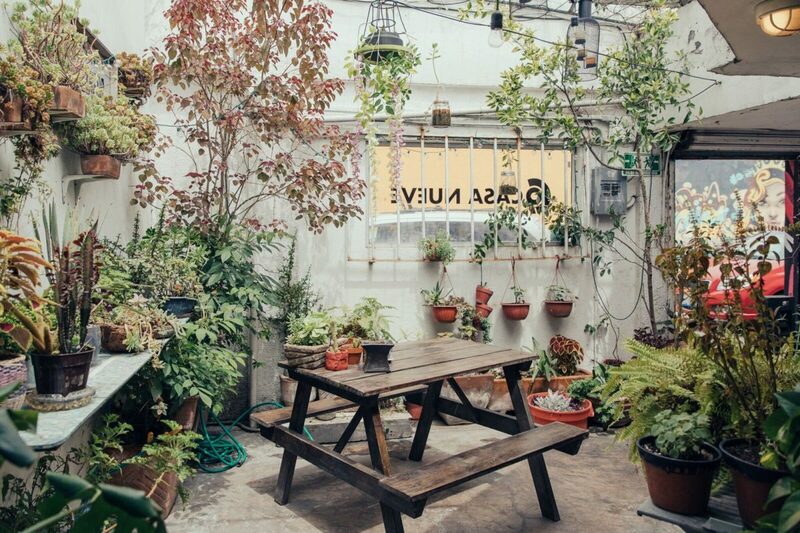 You’ll like it here if: You enjoy your Instagram-worthy bowls with a side of indie culture. The crowd: Local creatives who seemingly order one of everything off the menu. You’ll know you’re in Puebla because: In addition to avocado toast and burgers, there are killer tacos on the menu. 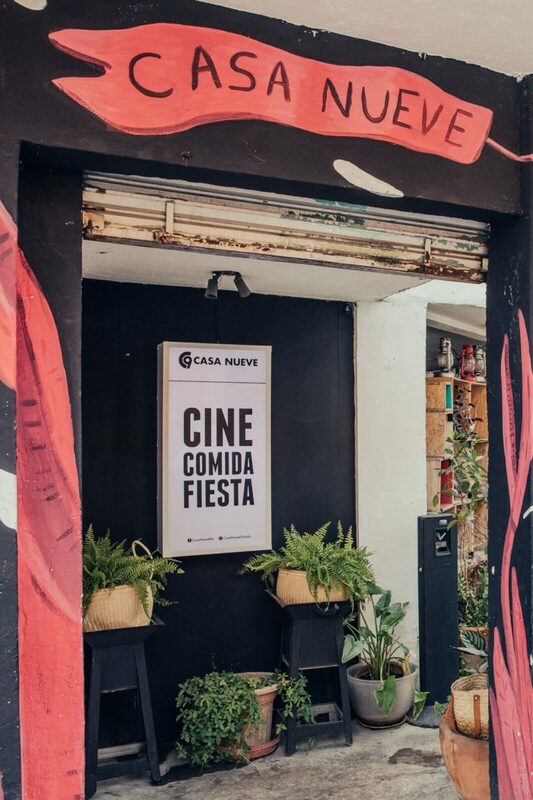 Pro tip: Follow Casa Nueve on Facebook to stay up to date on movie screenings and performances, and get a drink at the nearby Container City after the show.